Airylab has developed contactless optical measurement services using a leading real time wavefront analyser. Measurement can be performed in Airylab premises or your own for large installation. Large telescope alignment may also be performed on a star. 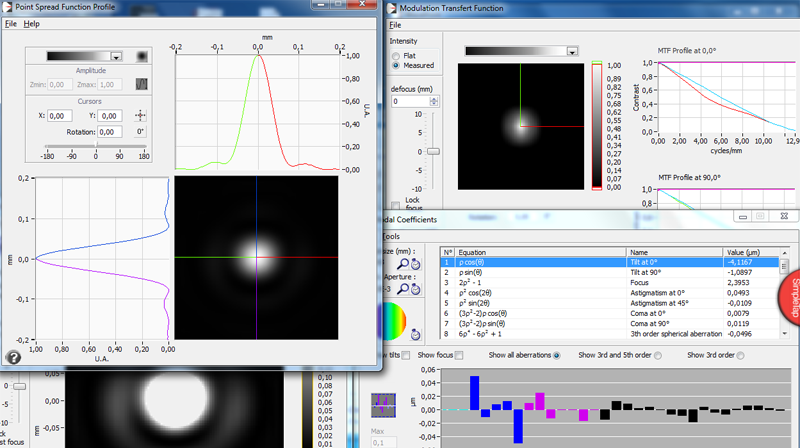 – Achromatic: measure can be performed at different wavelengths (445, 473, 543 and 635nm in Airylab facilities).